Love soup, noodles or noodle soup? Then Vietnam is where you want to be. Soup is everywhere. While great for soup lovers for me I have to look elsewhere for tasty food kicks. Fortunately Vietnamese food is diverse from healthy herb and veg dishes to high carb french influences. After a number of visits to Vietnam I am still new to Vietnamese food. Relatively clueless with each and every menu offering things I’ve never heard of. 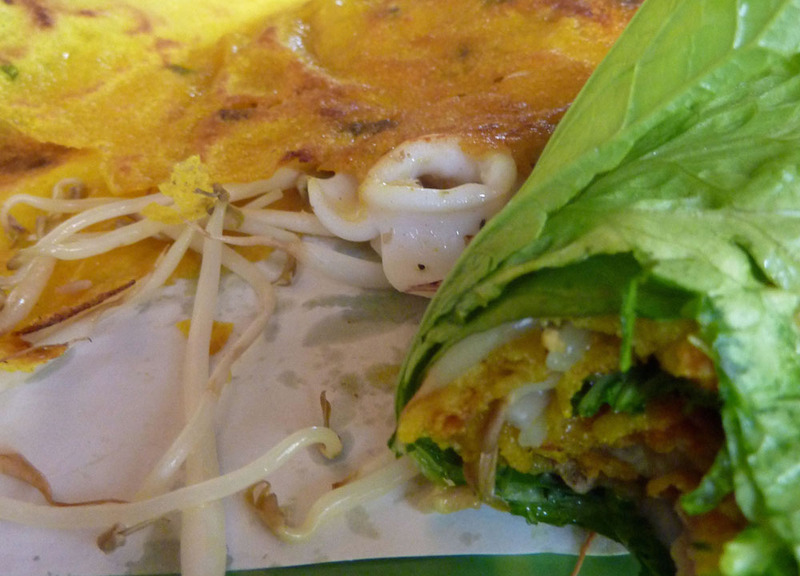 Don’t expect to pick up eating in Vietnam in one quick visit. Instead eat anything and everything. If it looks good eat it. That’s what I do and it’s worked so far. I have found some top notch eating in Vietnam. Here are my Top 10 Vietnamese Food from common staples to my own personal favourites. 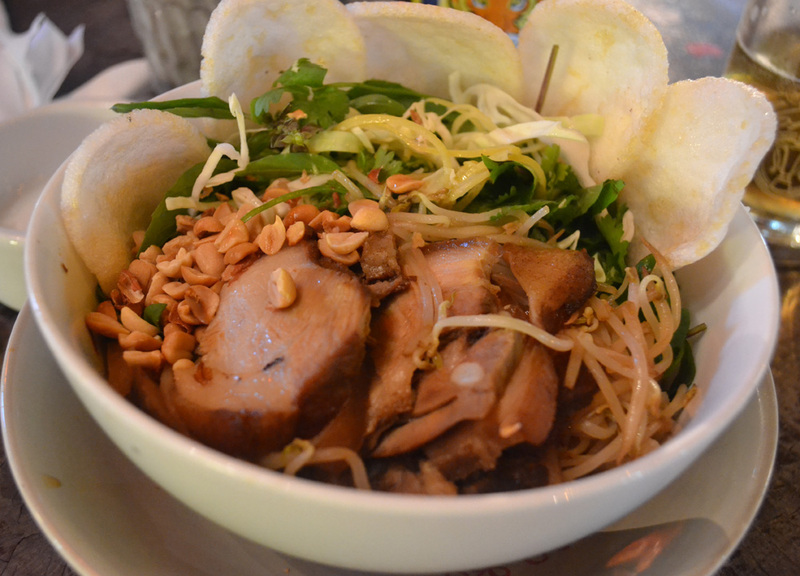 Pronounced ‘Fu’ as in Furby this scrumptious noodle dish is synonymous with Vietnamese food. It is also everywhere; from the moment you step foot in Vietnam to the second you leave. From breakfast tables to the curbside. 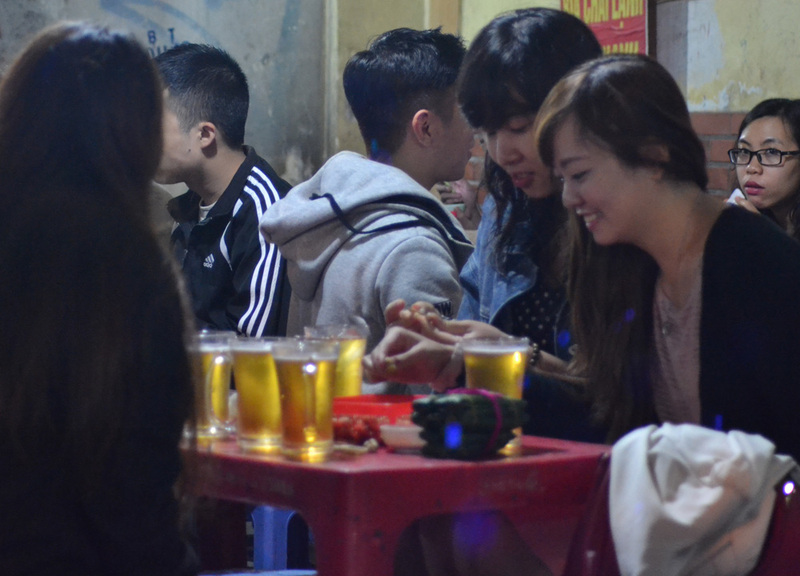 Pho is easily Vietnam’s most common street food, found day through to night, locals hunker down on tiny plastic chairs to slurp Pho at tiny plastic tables. Slightly bizarre but truly unique. Pho generally comes as Beef (Pho Bo) or chicken (Pho Ga) served in coinciding broth over flat rice noodles and flavourings of herbs. 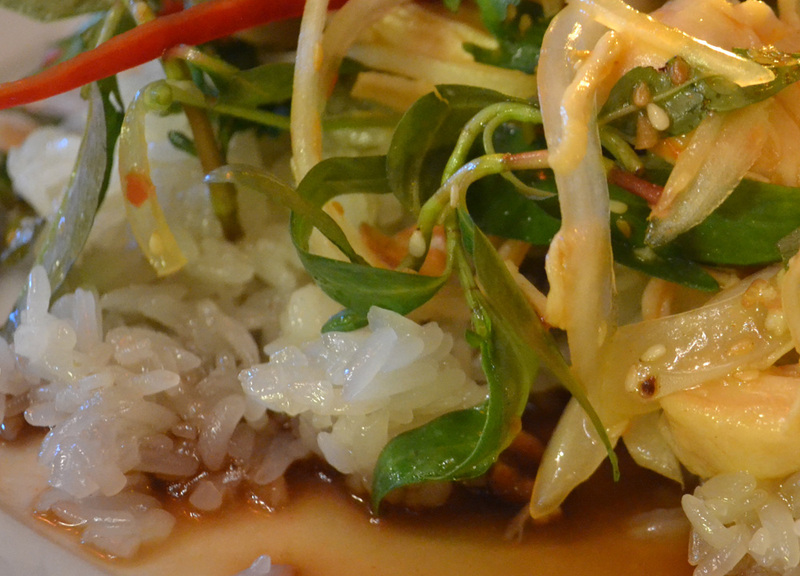 Optional garnish of sliced red chillies, squeeze of lime, bean sprouts, holy basil and cilantro. Shloop. 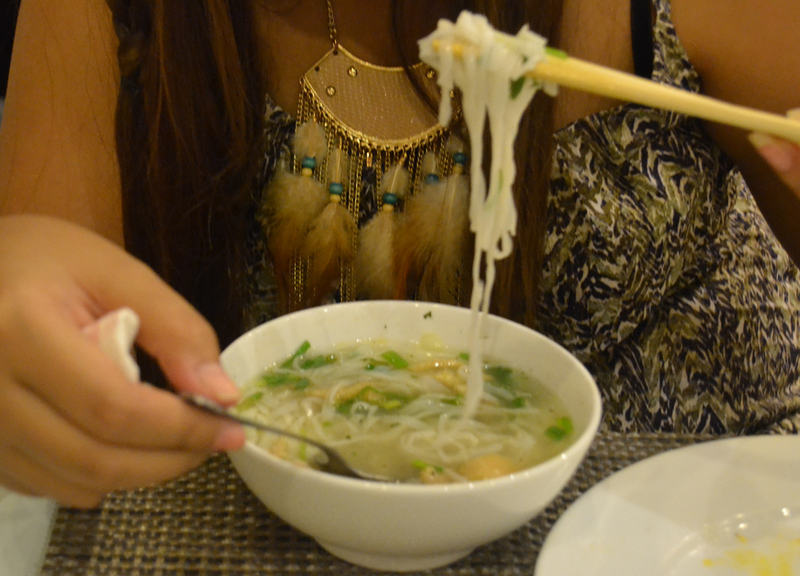 Pho makes the base of endless numbers of soups in Vietnam. Sorry to bunch these two together. First is the Summer Roll (fresh spring roll or Salad Roll) which, when matched with the right dip, is hard to beat. Easily my favourite Vietnamese food snack which is unusual. Not only are they healthy but summer rolls come packed with fresh greens. Traditionally tightly wrapped in a thin rice paper and include ingredients of vermicelli (rice) noodles, fresh herbs, and choice of meat (fresh prawns please). While sauces vary a phenomenal favourite is the peanut sauce (Nuoc Leo). Summer rolls also come meatless / vegetarian. Fried spring rolls need less of an introduction; meat and veg rolled in rice paper before deep frying to crisp. An unhealthy alternative to summer rolls. Both are found in most Vietnamese food menus. Obvious colonial French influences? Banh mi is another of Vietnam’s staple street foods generally found sold at small, street side stalls. As with all baguettes you can put pretty much anything in them. That being said with the Vietnamese Banh Mi I generally find a set filling. A filling of a pork liver pate, Vietnamese sausage (Boiled Pork, Cha Lua), shredded radish and carrot, cuts of cucumber and squeezes of mayonnaise and the all important chilli. Makes for a hearty feed following days of soup and veg. Marinated pork, grilled roadside, over smoking charcoals. 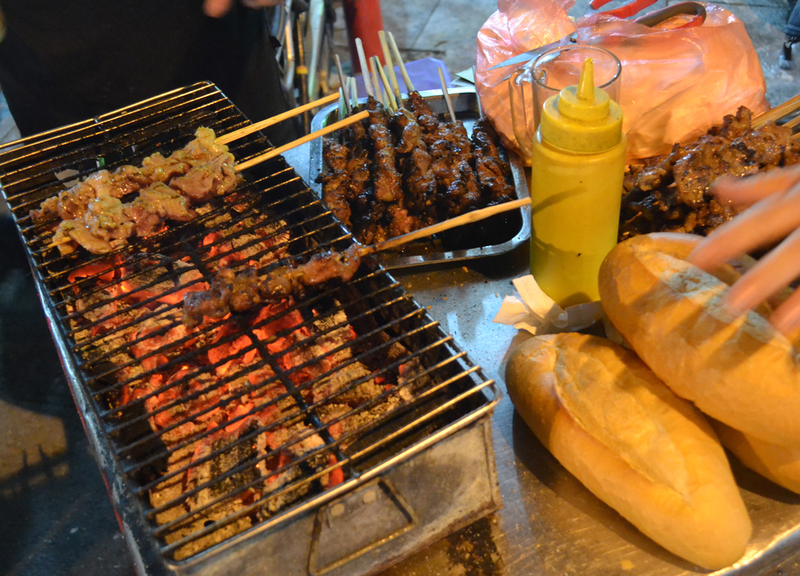 For fellow barbecue lovers Thit Nuong is the one street food hard to resist. While perfect eaten skewered as a quick, meaty snack; Thit Nuong is also found in many of my favourite Vietnamese foods. Stuffed in a baguette (Thit Xien Banh Mi), wrapped in spring rolls (Banh Uot Thir Nuong) and the Vietnamese favourite topping noodles (Bun Thit Nuong). Again with obvious French influences Banh Xeo is a crisp, savoury crepe which often comes served stuffed with cooked meats, bean sprouts and fresh herbs. As a start. This stuffed crepes is then wrapped again in sheets of lettuce with optional added garnishing of basil, mint and mustard leaves. Stuff into face. Banh Xeo tends to come with a sweet, sour, salty and hot side dip (Nuoc Cham). Thailand is severely lacking in Beef dishes meaning arrivals to Vietnam has my hankering for Bun Bo Nam Bo. 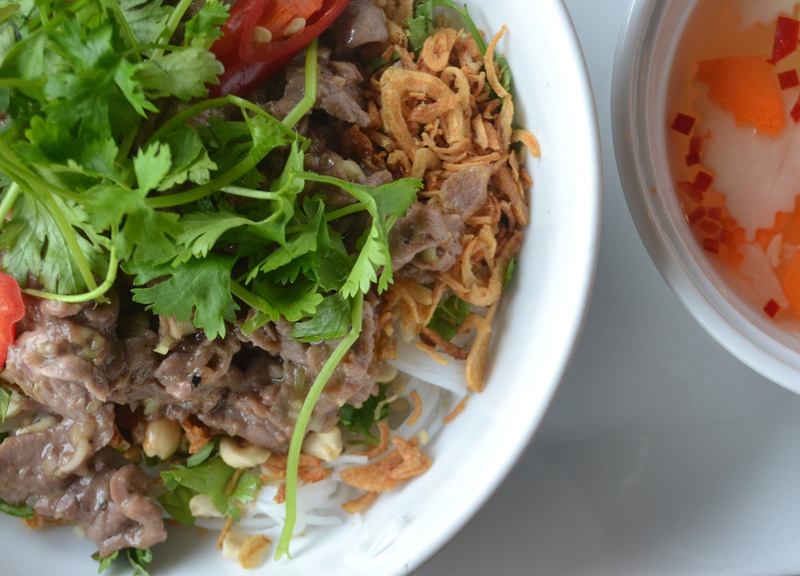 Tender slivers of grilled, sliced beef on a bed of fresh vermicelli noodles topped with peanuts and fresh Vietnamese herbs. Seriously delicious. Again, Bun Bo Nam Bo comes served with a side dish of Nuoc Cham a popular Vietnamese sweet, sour, salty and hot dipping (or pouring) sauce with carrot, unripe papaya and chillies. Refreshingly soupless. I think Cao Lau is the perfect example for diversity in Vietnamese food. This iconic dish originates from the old trading port of Hoi An and while probably better suited to Ramen Restaurants of Japan (think Chashu Men) it is distinctly Vietnamese. 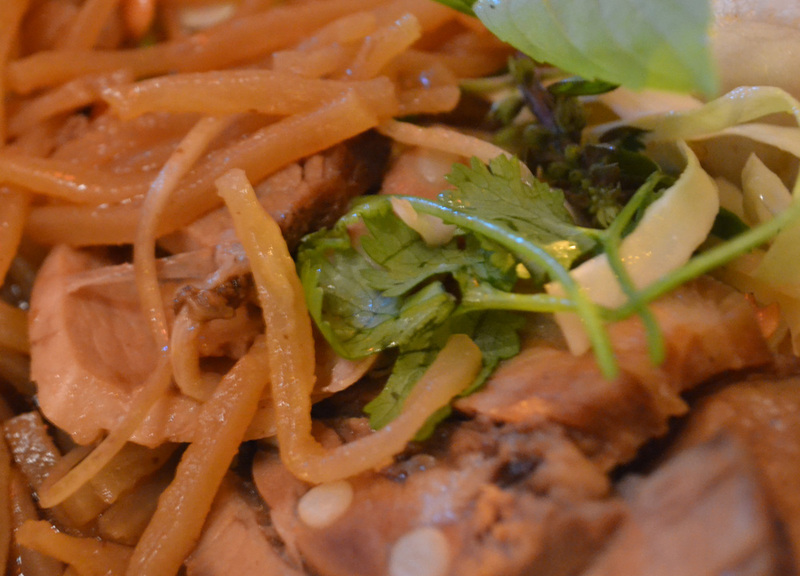 Thick wheat noodles topped with juicy slabs of pork served drenched in a thin pork and herb infused broth. Plenty of Vietnamese greens, bean sprouts, peanuts and often a side of light prawn crackers. Superb. 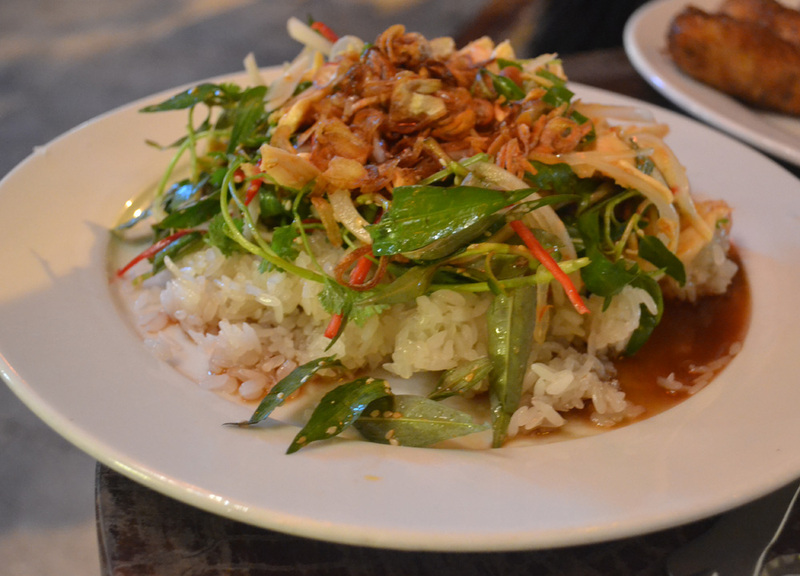 While sticky rice is common throughout Asia – in Vietnam they make a meal of it. Instead of nibbled on the side Vietnamese sticky rice is served as the main course Xoi Ga or Chicken Rice one of the more common treats. A hearty serving of sticky rice topped with tender strips of chicken, a handful of fresh Vietnamese herbs and more than often crispy shallots. Splash a dash of soy and sesame to flavour. In Vietnam I get excited for morning coffee. Not sure why but in Vietnam coffee is better – possibly due to extra lashings of condensed milk. 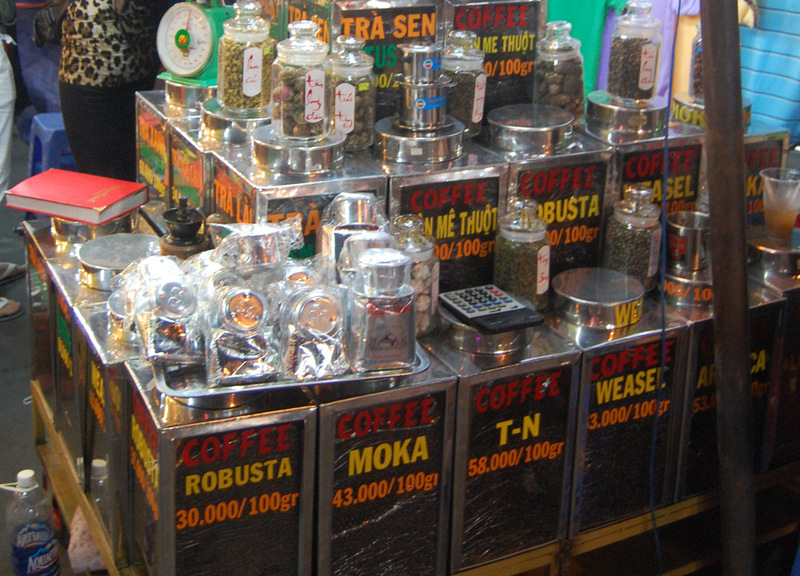 In Vietnam there is a street side cafe culture (possible French influence) selling all sorts of tasty bean strains. An interesting bean to look for is the Weasel Coffee a synthetic replication of the famous civet coffee. A coffee best found in tourist areas e.g. Ben Thanh Market (HCM). 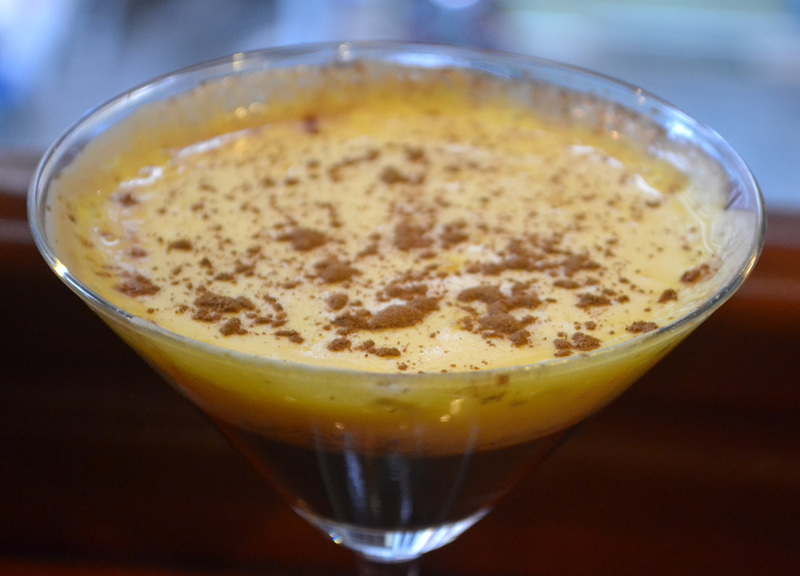 If you prefer something more local and authentic Ca Phe Trung or Egg Coffee is worth a try; a whipped egg served over hot coffee. The cheapest beer in Southeast Asia… possibly the world. Not the tastiest but at 5,000 Dong ($0.24) it will get you buzzing for under a dollar. For me Bia Hoi is more for the experience than the beer. Pull up a tiny chair and throw back beers with local cool kids (and occasional tourist). If $0.24 is too cheap $0.70 will buy you an upgrade to many of Vietnam’s premium beers, Beer Hanoi in Hanoi, Beer Saigon in Saigon (Ho Chi Minh) and so on. Bottoms up. The soup on picture 1 is not pho but bún. Difference between pho and bún is in type of noodles used. Pho are flat noodles, bún are rounded. There are over 15 Vietnamese restaurants in my area, all authentic and every one of their pho dishes use thin round rice noodles! Hi Alan wilson i must say that the blog is quite useful for readers to get the idea reagrding the eating habits in vietnam.The country has a very rich culture and has a unique way of cooking food.Apart from culture & food vietnam has some amazing places to visit especially the southern part phan theit city.